The ENT Institute only utilizes the most state-of-the-art technologies for all its specialties. These advanced technologies, like those highlighted below, allow the ENT professionals to provide expert care to its patients of all ages. The Balloon Sinuplasty™ system is a group of medical devices that are used to create openings in your sinuses. The devices use a small, flexible balloon that is placed into the nose to reach the sinuses. The balloon is gradually inflated to gently restructure the previously blocked nasal passage, restoring normal sinus drainage. Medtronic’s innovative Fusion™ ENT navigation system is an electromagnetic image-guided surgery system that offers reliable accuracy, ease of use, and expandability. the relative location of the instrument tip in the patient’s sinus anatomy during surgery. Integrating Technology for the O.R. For simple or complex image-guided surgery, you can use the Fusion system with other ENT surgery products. Our integrated technology offers a complete procedural solution and helps streamline your O.R. For example, our Straightshot® M4 Automated Tracking Blades are factory-calibrated for Fusion navigation, right out of the box. During transnasal endoscopic skull base surgery, the Fusion system, Anterior Skull Base Burs, and MicroFrance® Wormald Instruments are designed to maximize visualization and access for anterior skull base procedures. 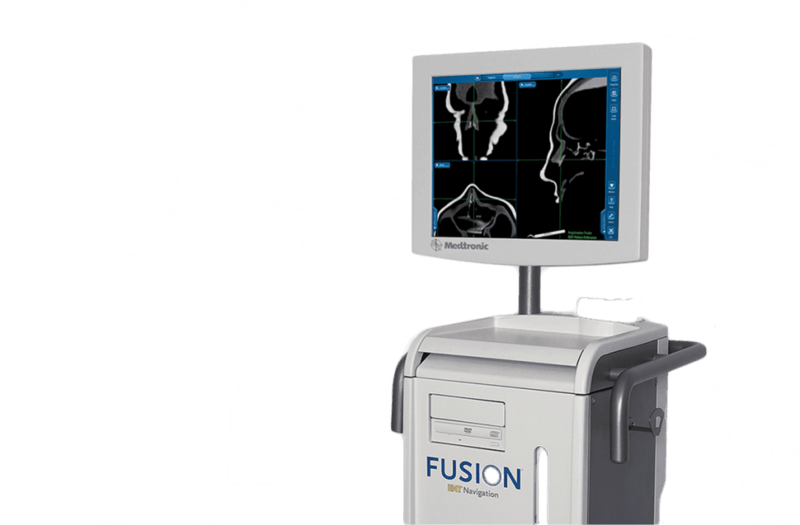 Similar to a global positioning system, our Fusion™ image-guided surgery system provides real-time images that can help you navigate in the sinuses for precise removal of diseased tissue while avoiding critical areas. 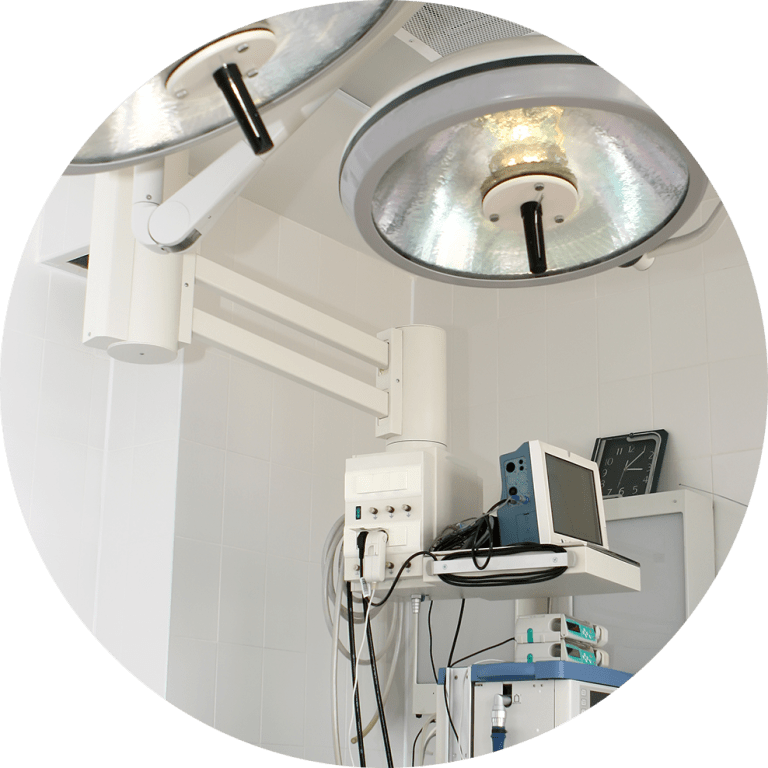 Whether you’re performing functional endoscopic sinus surgery (FESS) or complex skull base procedures, our Fusion image-guided surgery system provides valuable information that can help enable a safer, more thorough procedure. 1. American Academy of Otolaryngology — Head and Neck Surgery (AAO-HNS). Intra-Operative Use of Computer Aided Surgery. Accessed November 17, 2009. Medtronic’s Fusion™ ENT Navigation System is an electromagnetic image-guided surgery system that offers reliable accuracy, ease of use, and expandability. 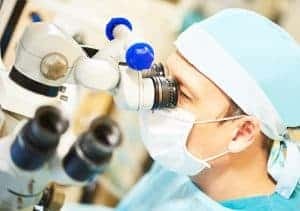 Our high-tech “global positioning system” for sinus surgery has become the standard of care for many sinus surgeries, including revision surgery, polypectomy, frontal sinus surgery, and posterior ethmoid and sphenoid sinus surgery.